In this study, we are treating entire neighborhoods. We have chosen neighborhoods that have a relatively high number of Lyme disease cases. Participants must live in one of these neighborhoods. Each neighborhood contains about 100 households and covers 6-10 square blocks. To participate, many of the residents in a neighborhood must agree to let us treat their yards. ​The neighborhoods are located throughout Dutchess County. What happens to the properties in a neighborhood? Every property in the study receives Tick Control System (TCS)® bait boxes and Met52® spray, but in some neighborhoods, the bait boxes and spray do not contain the active ingredients. Inactive TCS® bait boxes look the same as the active boxes, but they do not contain the chemical that kills ticks. Inactive Met52® spray is just water that does not contain the fungal spores that kill ticks. All of the participating properties in a neighborhood receive the same treatment. Why will some neighborhoods be treated with inactive ingredients? In this study, we are using the gold standards for scientific research. One of these standards is to control for the "placebo effect", which occurs when people behave differently because they know which treatment group they are in. For this reason, we are making sure that people participating in the study are not able to tell which treatment group they are in. In fact, no one collecting data for the study knows which neighborhood is receiving which treatment. We will all find out together at the end of the study. ​What data will be collected during this study? 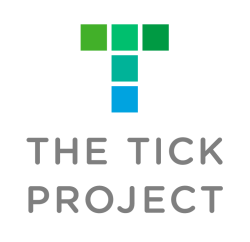 We are collecting three major kinds of data in this study, and using these data to find out which, if any, of the four treatment groups has a significant effect on the number of ticks, tick bites, or cases of tick-borne diseases in the neighborhoods. ​Our crews sample ticks on properties and conduct lab analyses to measure the number of ticks in each neighborhood and whether they are carrying pathogens. Local doctors and other health care professionals monitor cases of tick-borne diseases to determine whether the two methods reduce the incidence of disease in neighborhoods.